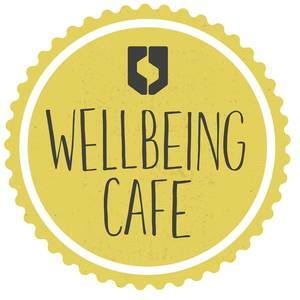 The Wellbeing Cafe is based in the Students' Union, with a proactive focus on wellbeing. We use surplus food to create a healthy pay-as-you-feel meal every Monday during term time. Everyone is welcome, staff and students, as we want it to be a space where everyone is equal. You can use the space for whatever you need it to be - there is no pressure to eat, or to socialise with others. Our first ever Wellbeing Cafe was in October 2016. The initiative was started by the 2016/17 Development Officer (Michael Kind) and the Welfare Officer (Anna Mullaney) with hopes that it will form a space that aims to holistically tackle some of the key welfare issues for students, by creating a feeling of community and overcoming isolation. If you're less of a volunteer and more of an eater - thats perfect too - naturally we do need people to come eat what our volunteers cook up! The Wellbeing Cafe is currently 5pm-7pm in Uni Central, located on the fourth floor of the Student's Union. For up-to-date events, check out our facebook page! As we aim to make ever meal as inclusive as possible we make sure ther are always vegan and gluten free options available. We always work our menu around what food produce we recieve, therefore our menu is unpredictable, howerer you can almost always rely on our kitchen volunteers to provide some form of pasta and potatoes. Some further examples of other food that we whip up are springs rolls, onion bhajis, curries, nachos, stir fries and even homemade hummus! We also usually try and release a provisional menu on our facebook page earlier on in the evening prior to the event, so you can get a vague idea of what we're offering up for you to fill your stomachs with. Our Facebook Page - the easiest way to get in contact is currently just by sending us a message on Facebook! Whether it is to find out more about volunteering oppurtunities, when the Wellbeing Cafe will start again after vacation breaks, or just any question you can think of you can drop us a message and someone will get back to you!